Less than a year ago I shot the wedding of Jim’s brother, Mike. So it was really nice to see a lot of familiar faces and see how they have changed. 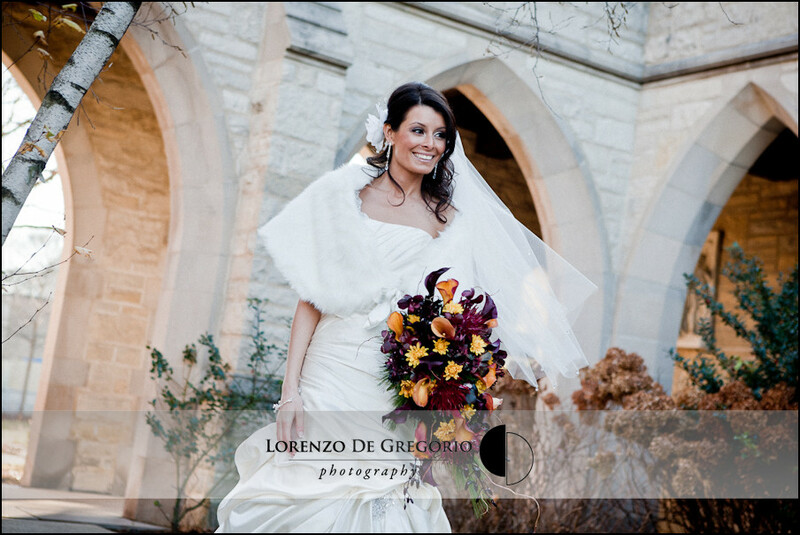 Giana and Jim met at Chicago’s Brookfield Zoo and they share a profound love for nature. Though the day was cold and the sun had already set, we couldn’t help but take some pictures in one of Cook County’s Forest Preserves, which would not have been possible without the help of Dan, who assisted with the lighting in the woods. Jim returned the privilege of being Best Man to his brother, Mike, who took this magnificent opportunity to retaliate from Jim’s speech last year, zigzagging through their past and Jim’s unique spirit. The Galeno’s entourage has a reputation of throwing a good party … much to the delight of my camera! Once again…a brillant job behind the camera. Thanks for preserving all these great memories.